The Extra Lesson (C) facilitates innate learning abilities. The faculty to learn is the harmonious physical body which has a strong foundation of sensory integration. This physical body is the vehicle out of which the individual is able to take hold of learning and develop as a healthy human being. 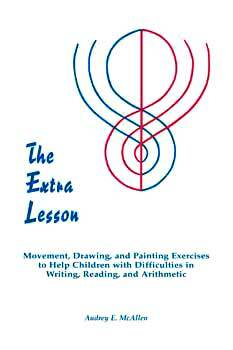 The Extra Lesson was developed by Audrey McAllen in the UK. The first edition of her book The Extra Lesson was published in 1974 and is based on Rudolf Steiner's philosophy of the developing human being.